One of the many reasons interior designers love working with STARK is our ability to provide unique, custom items as projects require them. When an interior designer has an idea for the perfect rug or carpet for a room, but it requires an uncommon shape, size, or even a combination of products – STARK is always up to the task. Custom projects are one of our core competencies, and as we continue to assist design professionals in creating the perfect pieces of flooring for their projects – we wanted to take a moment to break down the processes and intimacies of custom work. Custom installations are driven by two concerns: design and execution. Custom needs range from special applications for leather and bindings, to cutting material into special shapes, to applying a desired material to the face of a rug. We pride ourselves on delivering to exacting standards, and being able to execute on the production side after being delivered these beautifully unique designs from our Interior Design partners. 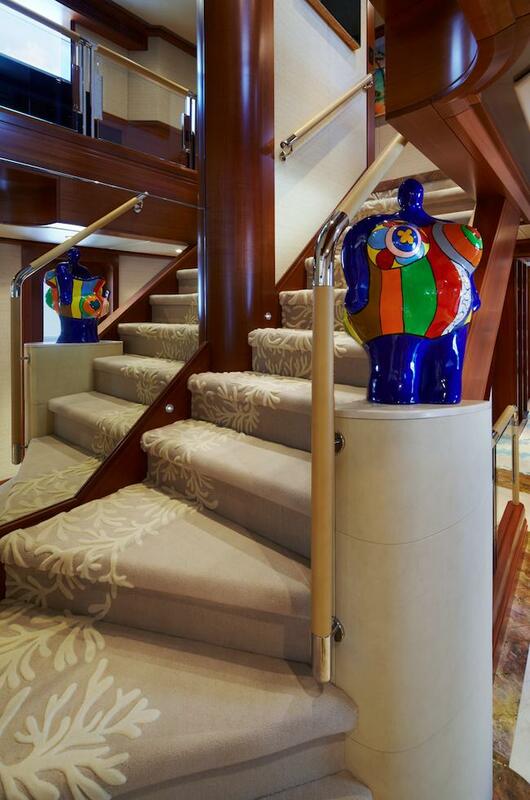 A custom stair runner by Geoffrey Bradfield. Jobs vary greatly as well. Whether it’s a rug or a wall-to-wall application, these design specs often require details such as bindings be correct to within a fraction of an inch. Other designers develop custom, studded pieces by utilizing grommets and nail heads. Occasionally, designers will even provide all materials to us and the custom team dreams up creative ways to apply them. Other times, the flooring piece is even assembled and fabricated with no outside products at all, utilizing borders, carpets, and even fabrics from the STARK catalog. Be it a fully custom job, or a customized version of our proprietary products, our custom capabilities truly stand out in the industry. The custom team strives to translate the visions of the designers into serviceable, durable items. 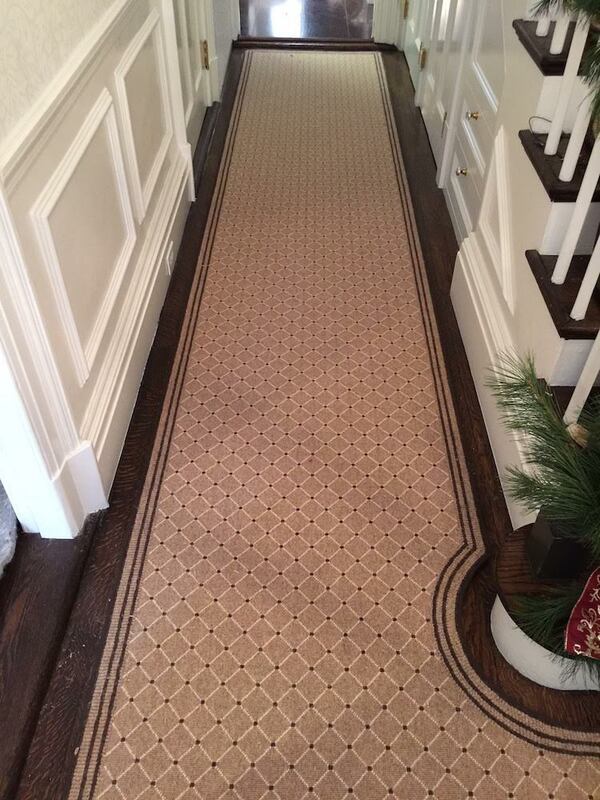 A hallway runner by Michael Griffiths, featuring a customized color of “Pigalle” carpet. Custom jobs are often unusual, but that does not mean they are difficult or complicated. Many jobs are simple but unique, such as combining two styles or types of products that one would not generally bring together. 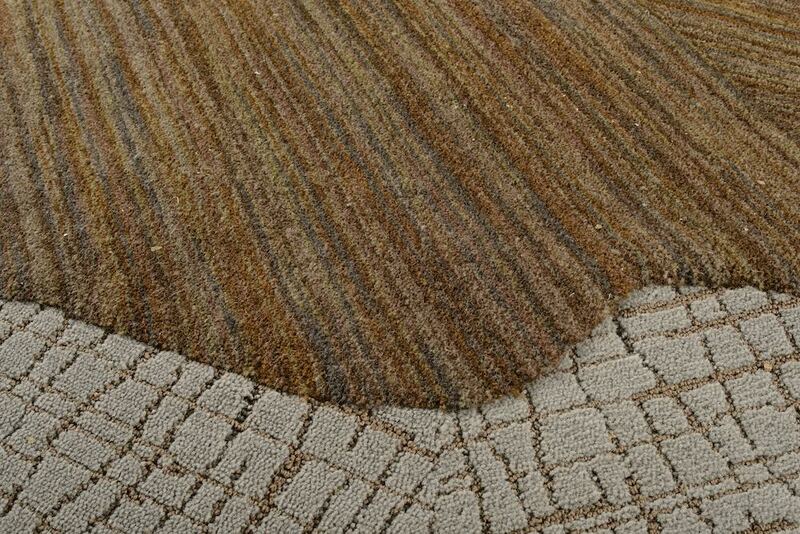 An example of unique products used together for a fully custom carpet. The beauty of custom jobs is the ability to create looks that could not be seen in exactly the same way, anywhere else. Other singularly custom looks include using exotic items, like furs, hides, or faux furs, and making shapes that mimic nature. Instead of a standard animal hide floor covering, the custom team might add leather and shave it down to transform an item that is already exotic into one that is even more intriguing. 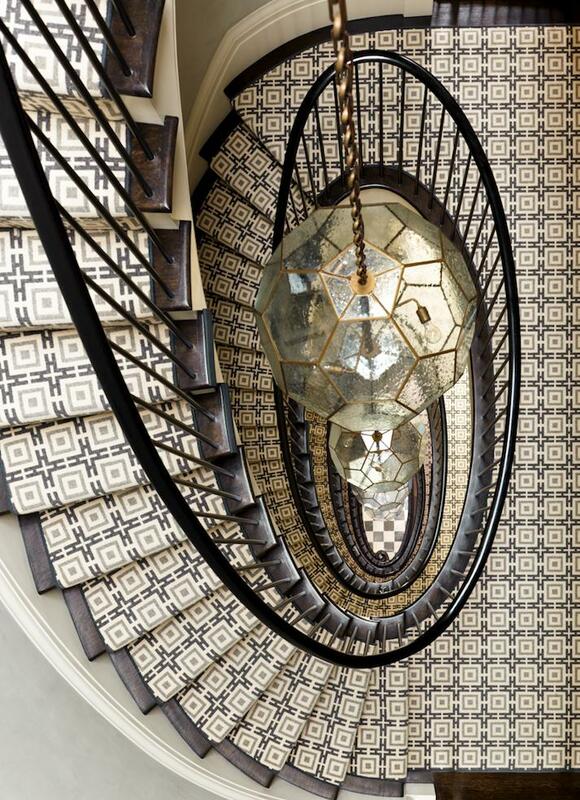 A custom fabrication in our “Logo” carpet for this stair runner conceived by Stephen Gambrel. That type of innovative, creative design is largely driven by the needs of the interior designers. The custom team helps to guide clients, but is ultimately just trying to fulfill the needs of the designer, and they always rise to the challenge. Even if a project does not seem like it can work, the custom team at STARK finds ways to make it work. 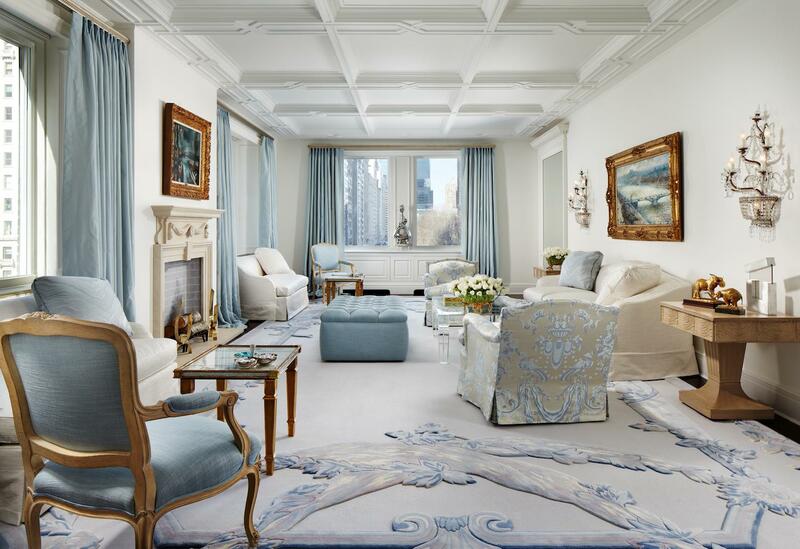 A fully custom rug, in this room by Geoffrey Bradfield. Find out more about custom fabrication and product development, as well as many of the other services STARK provides to interior designers. Members of the trade can also read more about the advantages reserved for them by referencing our STARK Trade Benefit Program.